These two projects were for the same client who desired a consistency of design and colour between his two locations. The brief for this project was to create a fun, tropical jungle scheme. This project features bespoke lighting fixtures and metalwork designed by Sarah. 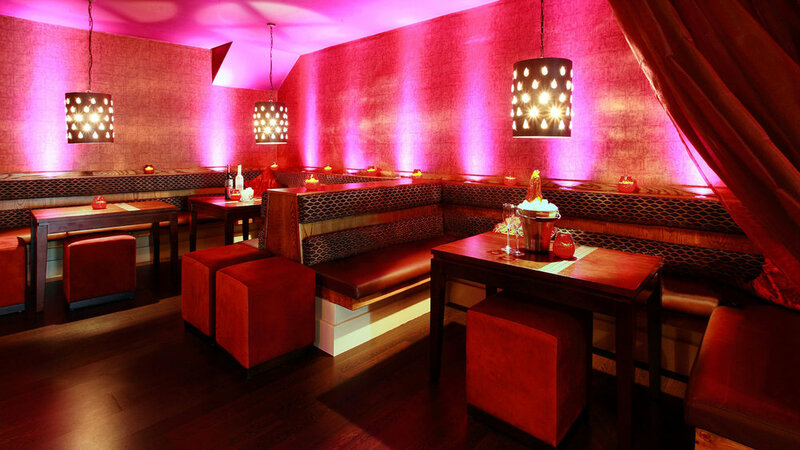 Inspired by Morocco, the desired atmosphere in this bar was more sultry and dramatic.